Complete your elegant look by wearing this analogue watch from Guess. Beautifully crafted for the women of today, this watch sits comfortably on your wrist so that you can flaunt it confidently. 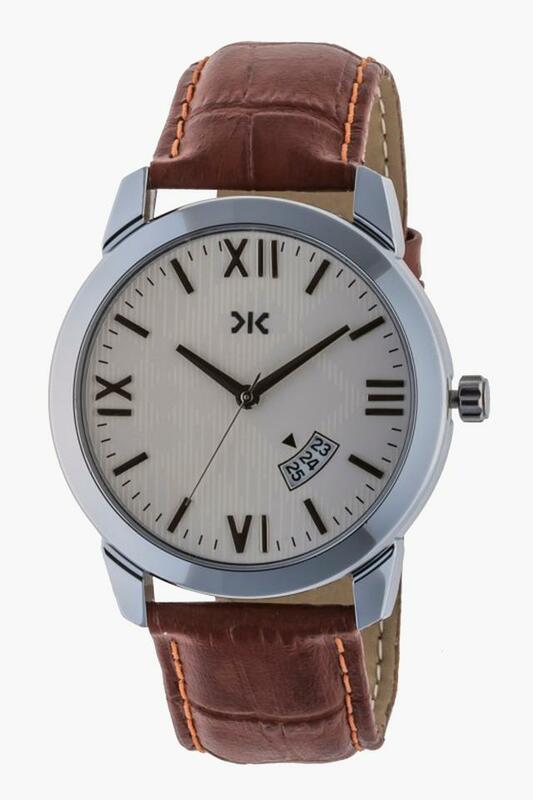 The round dial and leather strap lends sturdiness to the analogue watch. Its bezel features stone embellishments that make it effortlessly stylish. Smoothly uplift your style with this Guess analogue watch. It has three hands for perfect time and textured finish of this watch makes it totally unique.